Marlink Group company Telemar has been chosen to provide bridge system repair and maintenance services to Carisbrooke Shipping. The new contract further combines Marlink Group capabilities to enhance Carisbrooke Shipping’s operational efficiency and continuity, which is already widely supported by Marlink’s position as the UK headquartered ship management company’s preferred supplier of maritime satcom services. The new service and maintenance contract will be fulfilled by the UK branch of Telemar, the Marlink Group company dedicated to supporting hundreds of ships globally with bridge system technology integration in addition to support and maintenance services. Telemar works closely with all major bridge technology manufacturers and enjoys an extended global reach as part of the Marlink Group, ensuring its ability to provide value to customers in key global shipping regions. In addition to 24-7 remote assistance, a dedicated service coordinator and on board servicing by highly qualified engineers, Carisbrooke Shipping will gain access to a range of Value Added Services from Telemar as part of the new contract, including: an online database of spare parts, reports to identify obsolete equipment and breakdown failure rates, and statistics to measure individual engineers’ productivity and success rate. Carisbrooke Shipping owns and manages its fleet from offices in Cowes (UK), Zwijndrecht (Holland). 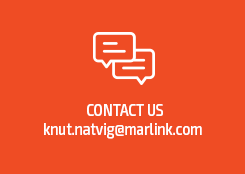 The company has developed a large fleet of fuel-efficient vessels in recent years, which since March 2016 has benefitted from new monitoring and remote support capabilities in addition to extended crew communication facilities enabled by Marlink’s Ku-band VSAT services.